We’ve been floored by the design prowess that positively oozes from this children’s furniture. It pushes so many boundaries, but manages to retain a classic feel, with contemporary flair. 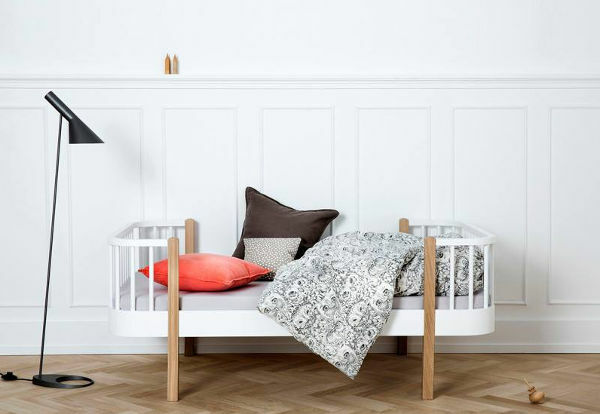 Denmark’s Oliver Furniture releases the kind of children’s collections that get our blood pumping. It’s what we live and breathe – beautiful things that make children’s spaces sing. 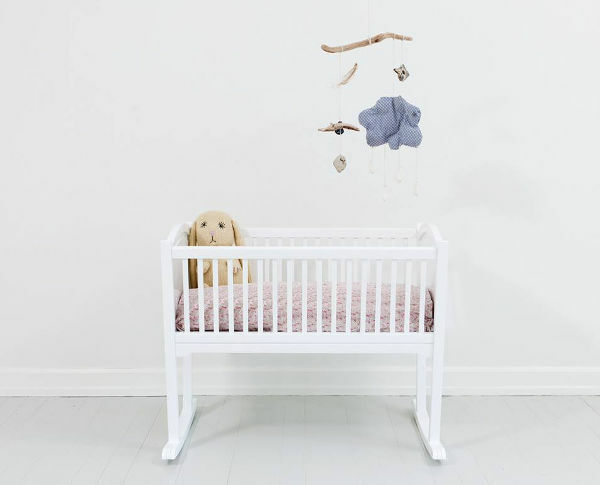 Oliver Furniture currently has two children’s collections – Seaside and Wood. 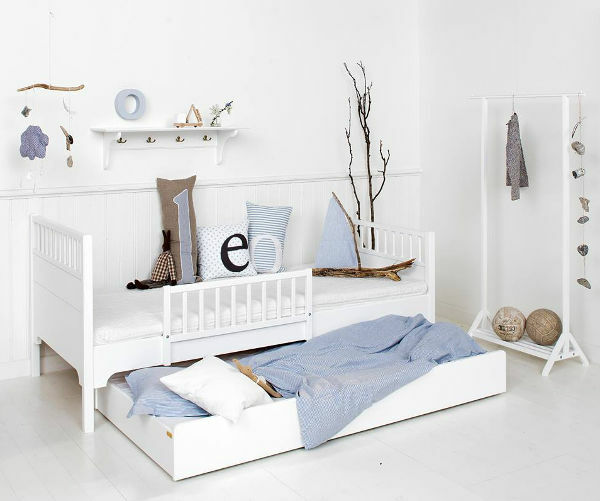 The Seaside collection includes cots, beds, toy storage and desks – all with a crisp white base. While the Wood collection draws a little more from the signature Scandinavian look of white with timber features. 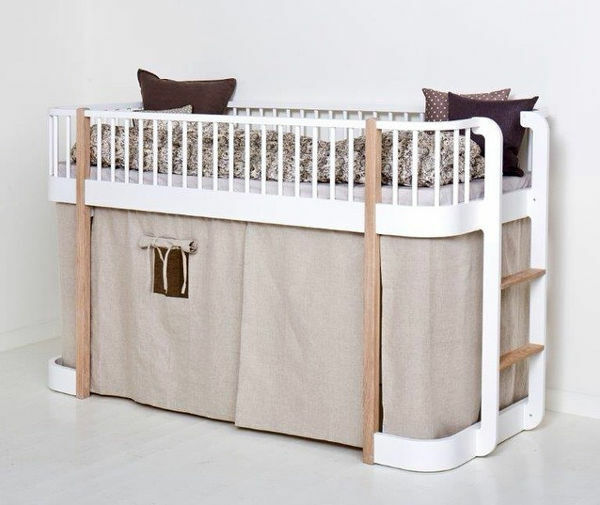 The standout in the Wood collection, for me who has children out of the cot stage, is the Loft Bed. It retails for upwards of €1200, depending on the configuration and additional features added. 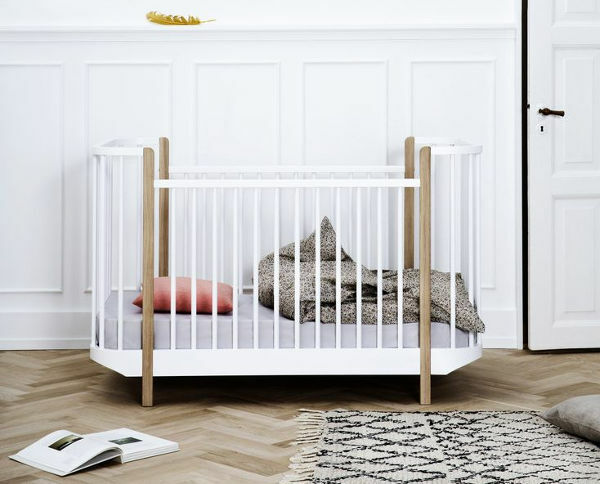 For those searching for the perfect cot – the Wood Cot is a showstopper. The beautiful angles make for a really interesting piece of furniture. In white it costs €739, the oak version is €789. Now I have good news and bad news – the good news is that Oliver Furniture also makes stunning adult furniture! The bad news is you’ll need a re-shipper if you’d like to get any of these beautiful pieces from Denmark. But it would be well worth the effort. Browse the entire Oliver Furniture collection and let us know your favourites.